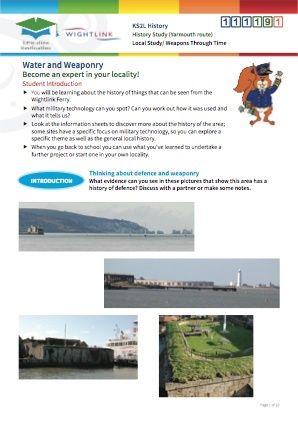 This is a History resource which engages students with the History of the Solent and the surrounding area. 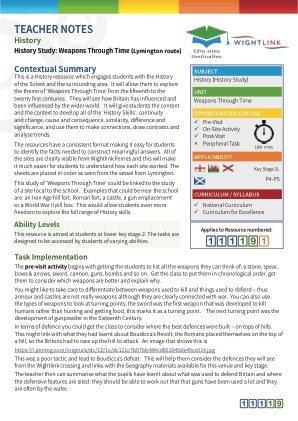 It will allow them to explore the theme of ‘Weapons Through Time’ from the fifteenth to the twenty first centuries. They will see how Britain has influenced and been influenced by the wider world. 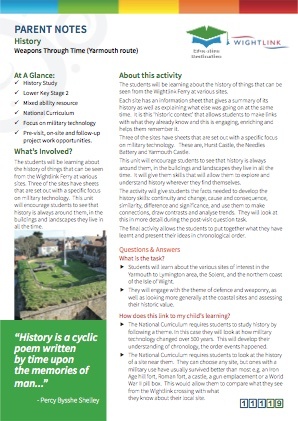 It will give students the content and the context to develop all of the ‘History Skills’: continuity and change, cause and consequence, similarity, difference and significance, and use them to make connections, draw contrasts and analyse trends.